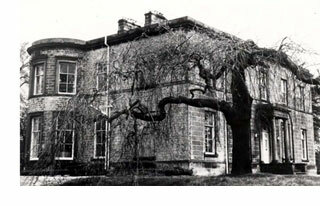 The Ashfield was a large detached residence set in 3.5 acres of mature ground off Weston Lane and built in 1816 by Jonathan Chadwick. Formerly the home of the late Colonel W. Stopham Dawson, the estate was broken up after his death and during WWII was occupied as a training centre for Merchant Navy radio officers. In 1948 the residence was sold to Joshua Tetley & Son Ltd. who were granted permission to convert it into a hotel but there was a delay. This was due to the fact that the licence of the Queens Head Hotel in Kirkgate had to be transferred to the Ashfield but this could not be done until the Queens Head closed circa 1955 when the Ashfield was then opened as a hotel. At some time, it also became a Training Centre for Tetley’s Brewery. In April 2000 time was called on the Grade II listed building (listed in 1974), and the property was offered on the open market at offers above £450,000, which included a further seven acres of land and long-term redevelopment possibilities. At the time of the sale the property was owned by Punch Retail and offered 7,000 square feet of accommodation with enormous potential for a variety of uses, including residential conversion, office, educational purposes or a pub or hotel, subject to the appropriate planning permission. However, the property was acquired by the Erkulis Group and work commenced in 2002 to convert the building into Apartments. 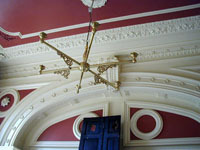 The coloured photograph shown was taken on 6th July 2002 from which can be seen some of the beautiful craftsmanship which has been tastefully retained in the conversion.